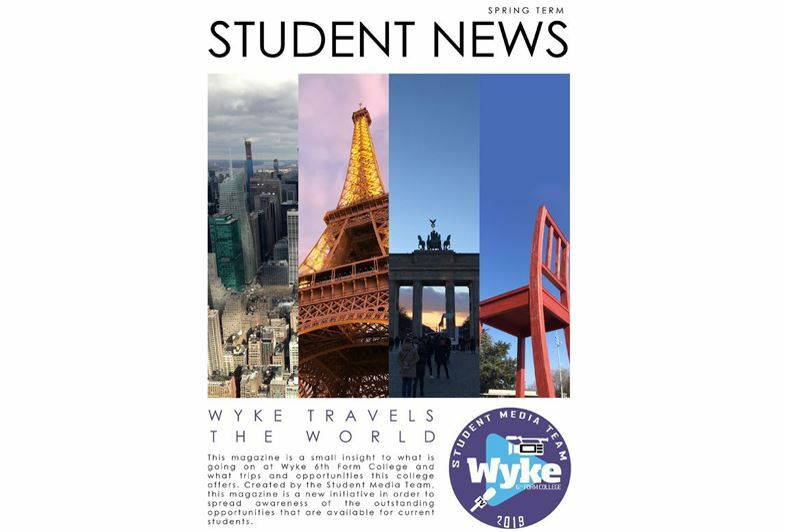 Wyke’s Student Media Teams First Magazine! You may have noticed Wyke’s new Student Media Team busy around college over the last few months. The student media team is a new enrichment activity at Wyke. Students with an interest in any aspect of the media can get involved in the team alongside their academic programme. The team consists of photographers, journalists, videographers, editors, social media managers and graphic designers who work together to report on all of the latest news and events from across the college. Student News includes features on trips to New York, Berlin and Poland, an interview with our Netball Team and much more. The magazine is a product exclusively designed, edited and publicised by our students.